capturing one man’s epic adventure of survival and the extraordinary power of the human spirit. In the 1820s, a frontiersman, Hugh Glass (played by Leonardo DiCaprio), sets out on a path of vengeance against those who left him for dead after a bear mauling. 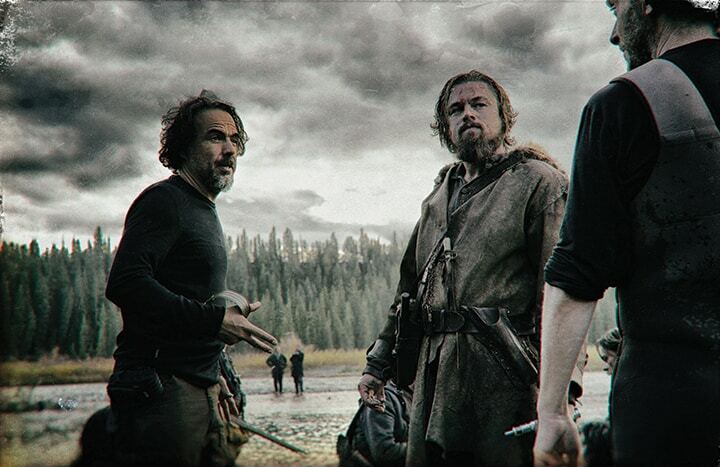 My journey on The Revenant started in April 2014 when producer, James “Jimmy” Skotchdopple called and asked if I was available to work on “an extraordinary movie.” Jimmy went on to say it was a unique, 1820’s period piece that takes place in the fall and runs through the winter, and Chivo, (Emmanual Lubeski), wanted me on board. There was no doubt I would make myself available. My first collaborations with Chivo go back to the films A Walk In the Clouds (1994) and Birdcage (1995). Jimmy and Chivo had just finished Birdman with director, Alejandro González Iñárritu, but it had yet to be released. I knew Alejandro’s previous work but we had never met and I was excited to be part of this new project. Chivo and Alejandro stressed to me the style of this movie would be similar to Birdman where each scene is carefully rehearsed and choreographed to convey the story with minimal cuts. The camera would be very intimate, many times at minimal focus distance to feel the terror and emotion of each character. We operated a single camera, a signature of Alejandro’s, and no traditional camera dolly was part of our package. Not since film school had I been on a movie without a dolly so I knew it was going to be a very physically demanding experience. The story features Leonardo DiCaprio as Hugh Glass, a respected guide and fur trapper who leads a group of trappers, which includes Tom Hardy, into Indian Territory to bring home their annual pelts. It’s the American frontier, and conditions are rough. The harsh weather the trappers experienced in the story was part of our journey as well, as we filmed most of the scenes in the Canadian wilderness. We began rehearsing and testing early September in Calgary amidst a major snowstorm and at the start of an early winter. The first day rehearsal involved wearing neoprene waders and boots, working in a river current of knee deep icy water with snow falling. This opening scene included Glass, his son Hawk, and Bridger, a trapper, slowly walking through the water as they spot an elk in the distance. With a single shot Glass takes the elk down. Within minutes an Indian party descends on the camp. This scene involved about 200 actors as Indians and fur trappers, dozens of horses, bows and arrows, and musket rifles. All was carefully rehearsed and choreographed so we, the audience, experience the battle in real time. The Revenant embraced a different visual language from what I was used to. We used wide lenses—from a 12mm to a 21mm, including the equivalent field of view in 65mm. Movement is exaggerated in a wide lens so camera moves were slow, graceful, and exact. These slow deliberate moves would go from an extreme close-up to a perfectly composed wide, beautiful vista, and back to a close-up. The characters in the movie are so emotionally driven that the camera needed to be an emotional extension of them. Shooting with the wide lenses shows an interesting perspective and makes you feel you’re part of the character. You have their panoramic POV. We’re used to seeing a lot of close-ups and extreme close-ups, but in reality the view a person has is this wide POV. The scope of the scene and the land it encompassed defines the 240:1 aspect that The Revenant utilized. The movie was shot in story order, and part of Alejandro’s directing style is to maintain a natural story rhythm. This allowed the characters to age and physically change as the story progressed. No detail was overlooked, including the optimal time for natural light to shoot the scene. Our emphasis on shooting at the right time of day meant the window of opportunity was small and you had to execute under pressure. Our ability to do retakes was severely limited and the pressure was on all departments to perform at exact times. It was a scary but exhilarating feeling knowing you have limited time to shoot such an extraordinary scene with so many moving parts. Weather is a big story element in The Revenant and we worked in a variety of challenging conditions. We had a couple of early snowstorms in September while in Calgary. Then, in October, we moved to Squamish, British Columbia to shoot during the rainiest months of the year. For those three weeks in BC, we worked in cold rain, on rivers with boats and rafts, and were constantly challenged to keep gear in tune. When we returned to Calgary at the end of November, we were in major snow with single digit temperatures and dropping lower, testing our mental and physical beings. The key topic of the day was asking each other how many layers he/she is wearing and where did you get those boots? By early 2015, temperatures had warmed up and snow was melting fast so we had to search for an alternate location to film our final winter scene. Alejandro had envisioned for the last battle a river set amidst snow packed high cliffs. Location scouts were sent to various points in the Southern Hemisphere and we settled on Tierra del Fuego, at the southern tip of South America. We were there two weeks and brought most of the crew in but supplemented with Argentine locals. It’s truly a majestic location at the end of the world. Our original plan was to shoot the exterior day shots in film using anamorphic lenses – 35mm and 65mm – combined with the Alexa digital camera for the low light work. 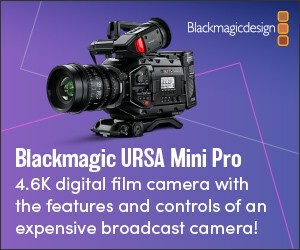 As we progressed, the Alexa ST, Alexa M and the Alexa 65mm turned out to be the preferred choices along with the Zeiss Master Primes and the 16mm Leica. By December, we had abandoned film completely. The digital cameras provided us with the images we liked and handled the harsh weather conditions as well. 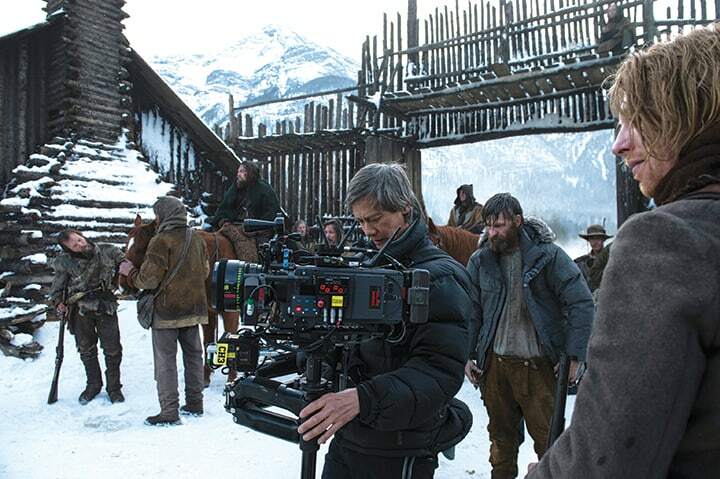 The primary equipment we employed on The Revenant was the telescoping cranes, a Steadicam and a hand-held camera. We put the Alexa M in backpacks for hand-held work. 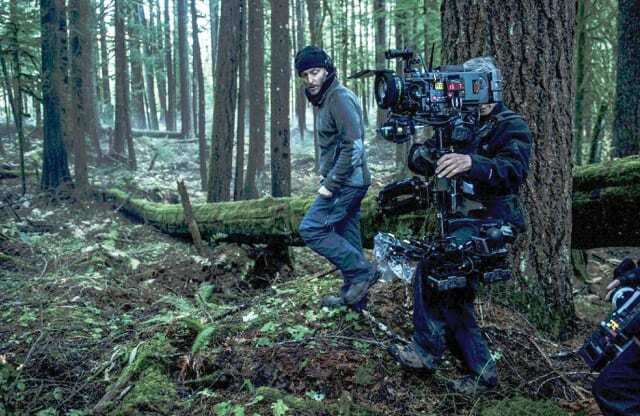 The Revenant is a one camera perspective shot in three modes of operation (handheld, steadicam, or crane) which created its seamless rhythm and language. The ability to move the camera around gave Alejandro a lot of freedom to do single choreographed moves to capture the scene’s action. It became our stylistic signature. We rehearsed with all departments to achieve these shots. Ryan Monro, a fantastic dolly grip, worked magic on the front end of the Techno crane. 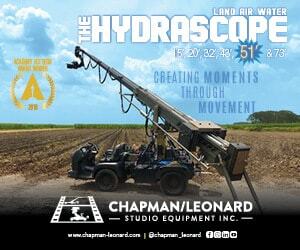 Ray Garcia, the key grip, was instrumental in getting the Techno crane into the most difficult places. Many of our locations were not near roads and gear had to be hiked in or transported on sleds and snowmobiles. In one instance he relied on multiple zip lines to maneuver the Techno crane through dense trees and across a ravine to a rocky mountain slope. Ray also coordinated the use of the Biscuit rig and Edge arm. One of my favorite shots on the movie was a shot of Glass, discovering that one of his key guys has been shot and killed. He discovers the murder and hears a thunderous roar in the mountains behind him. Glass turns his head and looks up to see an avalanche of snow cascade down the mountain. This visual is stunning on screen and does not employ any CGI. The success of this shot required the camera and Leo to react at the exact moment an avalanche was triggered via dynamite that was dropped from a helicopter. It’s a very emotional moment for Leo and a very technical filmmaking moment that had to be timed perfectly. There is a delay from the dropping of the dynamite until you hear the sound and the avalanche triggering. Scott Robinson, our 1st AD, had to cue Leo perfectly, and I had to be aware of Leo’s actions and timing. This was an amazing shot – but very nerve-wracking, as we only had the one chance to get it right. The result was a perfect blending of everyone. It’s a really great cinematic moment where the acting and technical aspects of filmmaking come together. Alejandro and Chivo have worked together so closely for so long that they were constantly presenting ideas to each other. Chivo brings a passion and a drive to his work that is exciting to me as an operator, and I quickly became addicted to this style of filmmaking. Alejandro, driven by his heart and emotions, has a vivid imagination that he articulates to his crew, and dares us to achieve more than we thought possible. I have tremendous respect for both of their talents and how they challenged my skills. Collaborating with Chivo and Alejandro has been one of the most rewarding experiences of my career. P. Scott Sakamoto, SOC has been operating A camera and Steadicam since 1992. He established a relationship with Haskell Wexler early in his career and counts him as his mentor and inspiration. 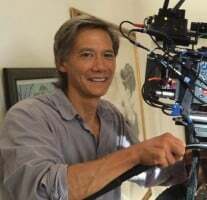 He has worked with Conrad Hall, Caleb Deschanel, Tak Fujimoto, Robert Elswit, Tom Segal and Wally Pfister amongst others. His credits include; Road to Perdition, The Patriot, Michael Clayton, Dark Night Rises, and Moneyball.